Purchase Orders let you place orders for new inventory to your vendors. Purchase Orders are sometimes confused with invoices which allow you to bill Customers. PO Number — This is a number for your internal tracking. It will appear on the PO. If no number is selected, Shopventory automatically counts up from the last highest number. Date — This is the creation date for the PO. It can be backdated if necessary. Expected — This is the date on which you expect to receive the PO. Bill To — The location designated as the billing address. Ship To — The Location where products will be received. Fees — Any additional charges related to the PO. Freight — Can be used for shipping, customs, or other freight-related charges. Vendor ID — An optional field in case your Vendor has a different SKU number or you want to add more info. The Vendor ID will be saved and appear automatically the next time that product is added to a PO. Quantity — The number of units being ordered. Cost — How much you are paying for each individual unit. Tax % — The percentage of tax being applied. 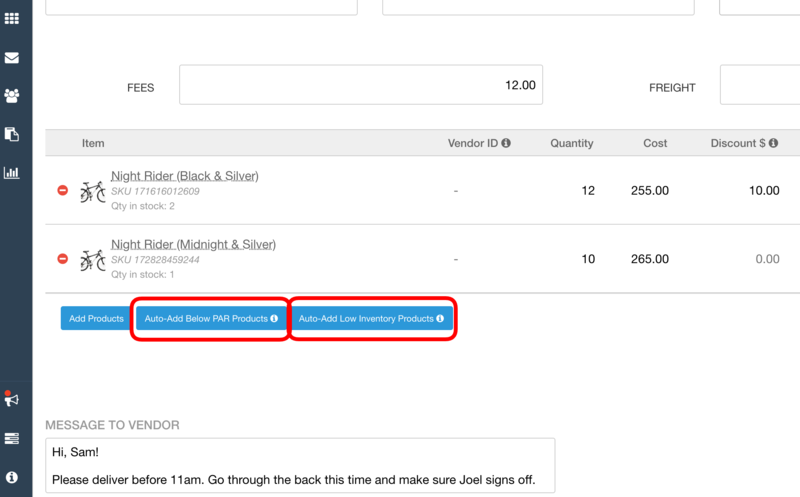 You can save a Purchase Order as a draft if you need the ability to edit later on. Once a Purchase Order is created, it cannot be changed or edited or deleted. Purchase Orders will display on the Purchase Orders page in their current status. Shopventory gives you the option to Auto-Add Low Inventory Products. This is based on your Alerts. 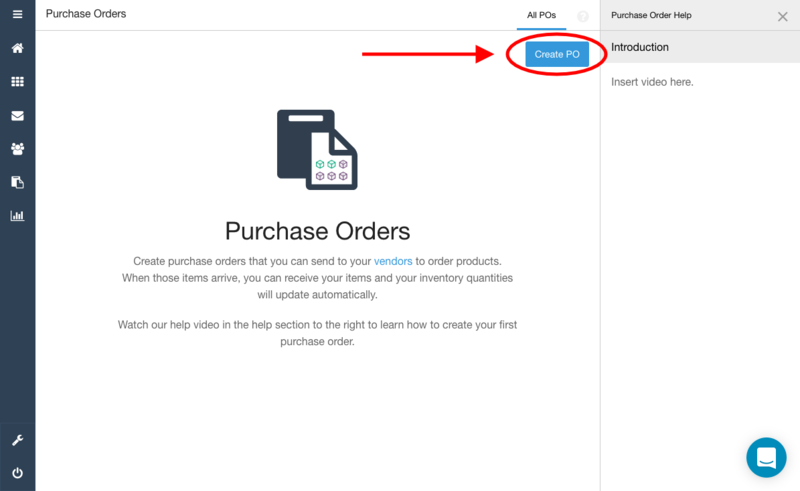 If there is an product running low (per the Alerts), clicking the button will automatically add those products to the PO. To receive inventory from an open Purchase Order, click the 'Receive Inventory' button at the bottom of the open Purchase Order. If you receive fewer than the quantities listed, the Purchase Order will show as 'Partially Received' and remain open. You can also download a PO in PDF or CSV (spreadsheet file) format. This allows you to easily send Purchase Orders to vendors as email attachments or print them if you need a hard copy. Purchase Orders are permanently stored in Shopventory, so your records are always securely backed up! You can also use the Settings menu to duplicate a PO, for easy re-ordering, and also Print labels for the Products just received. 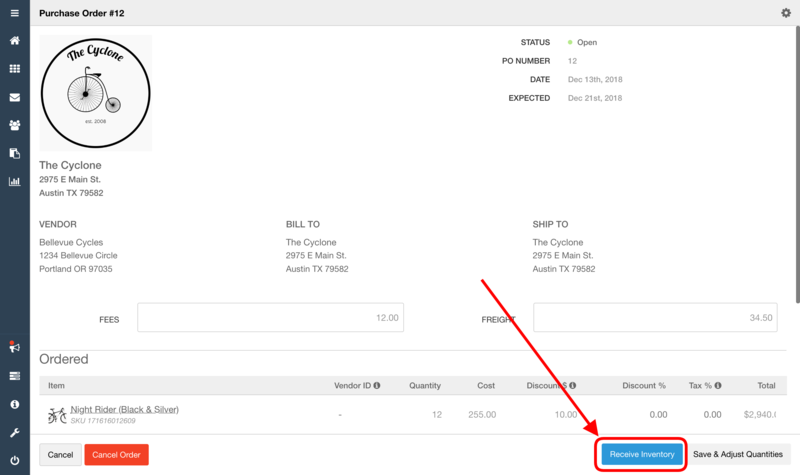 Purchase Orders can also be canceled using the "Cancel Order" button on the lower right-hand corner. When products are received, you will be prompted to print price tags for the incoming inventory. It's a good idea to check your "Settings". You can enter your company information and set the default addresses of your locations. 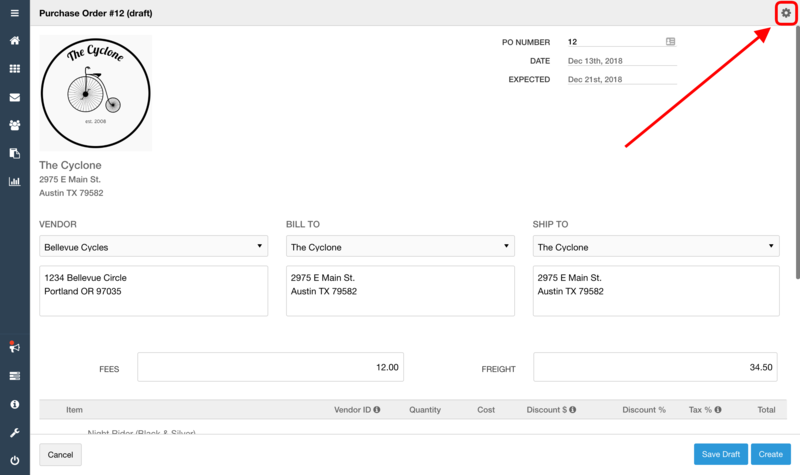 This way you don't have to type them into the Purchase Order each time you create a new one. 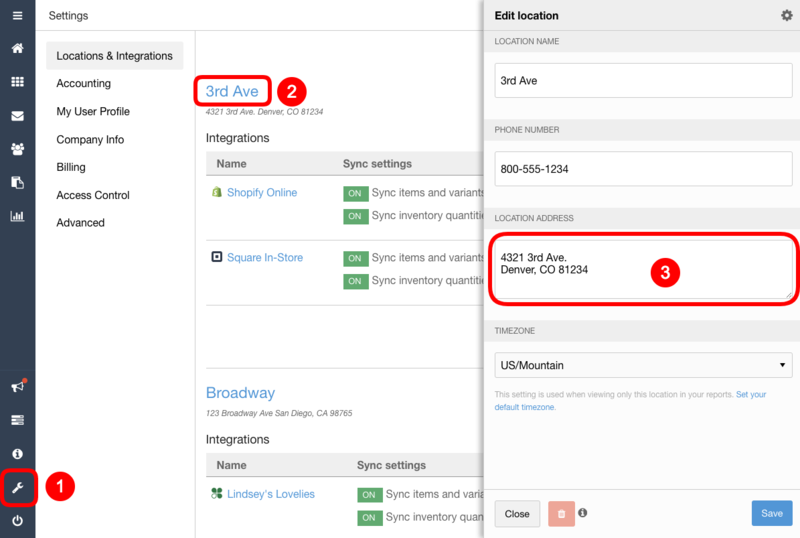 Address info can be added from the Locations and Integrations tab in the 'Settings' section of Shopventory. 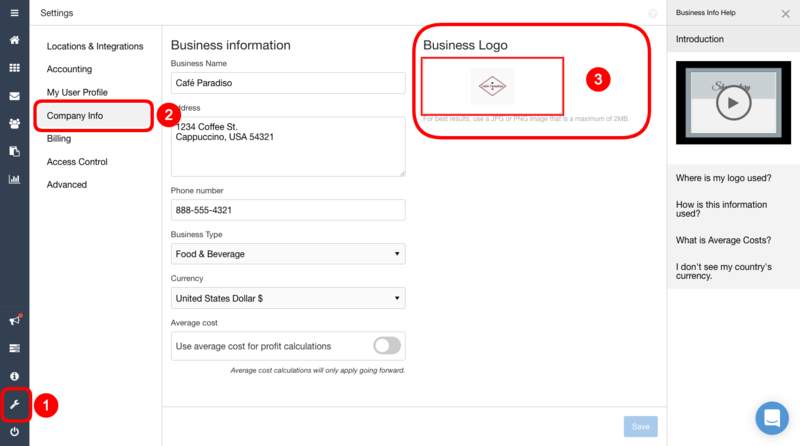 You can set your business information (such as your logo) in the Company Info tab (also in the Settings). This way, the information populates automatically in the Purchase Order when that location is selected.